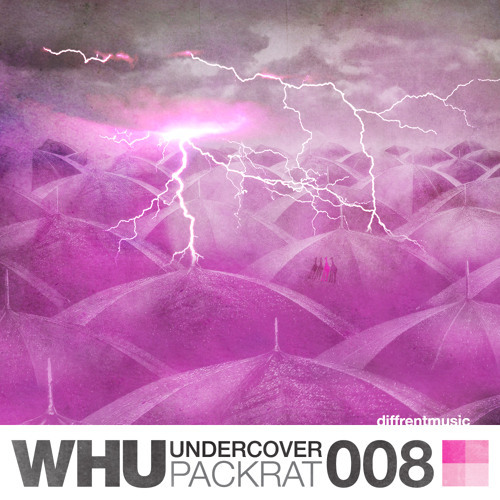 The power and sheer force of this release will causes shock waves, and who else to deliver it but the boys from Diffrent, DIFF008 sees the return of 'Whu' with two tracks of simply genius music! 'Packrat' just keeps giving you the urge to head nod, fueled by a lazy bass line that is guaranteed to pull out those bass faces! The half time beat that stomps right through the mix gives it the weight to slam through your speakers and flawlessly completes this epic track. On the flip is a dark intimidating beat, accompanied by a meandering bass line that growls and groans its way through the track like a infuriated serpent. 'Undercover' creates an intense atmosphere of tension and ferocity, backed with some next level percussion that is constantly waiting to explode in your ears. A ridiculous A and B that should be on every ones wish list, definitely one to add to the collection!